Coffee fiends, rejoice: Every cup of joe you guzzle could drive down your risk for heart problems, a new preliminary study suggests. 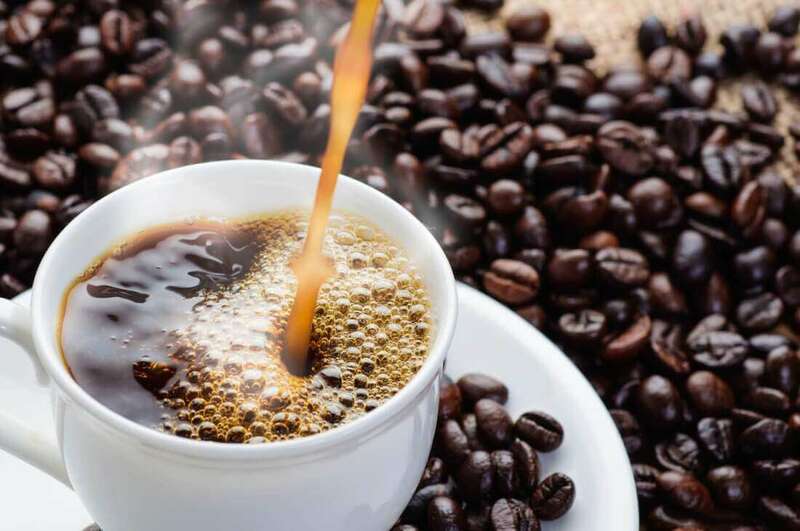 “Drinking that cup of coffee that you love may be associated with decreased risk of stroke, heart failure, and coronary heart disease,” said lead researcher Laura Stevens. She’s a data scientist for the American Heart Association’s Institute for Precision Cardiovascular Medicine in Dallas. Each cup of coffee consumed a week could decrease your risk of heart failure by 7 percent, stroke by 8 percent and heart disease by 5 percent, according to a sophisticated analysis of data from long-term heart studies. In a more surprising finding, the research also suggested that red meat might be linked to lower risk of heart failure and stroke, said Stevens, who is also a doctoral student at the University of Colorado School of Medicine in Aurora. However, the study merely points to an association — not a direct cause-and-effect relationship — between coffee, red meat, and lower heart risk. And the researchers acknowledged the red meat finding warrants further investigation. Stevens and her colleagues fed data from the long-running Framingham Heart Study into a computer programmed to look for associations between risk factors, in hopes of finding unidentified influences on heart health. Since 1948, the study has tracked the heart health of generations of residents living in the town of Framingham, Mass. The artificial intelligence-driven analysis identified many known risk factors for heart disease, including age, blood pressure, heart rate, cholesterol, and weight, Stevens said. But the computer also spotted two potential heart factors that haven’t been firmly established — coffee drinking and consumption of red meat. “We found that both red meat consumption and coffee consumption were associated with decreased risk of cardiovascular disease and stroke within the Framingham data,” Stevens said. The researchers validated their coffee findings by analyzing data from two additional long-term heart studies. They found those studies also supported an association between coffee drinking and decreased risk of heart failure and stroke compared to folks who drank no coffee. “We were not able to validate the association with red meat, due to the definition of red meat not being uniform across these studies,” Stevens said. Not all the studies considered pork or processed meats to be red meat, she said. The data could not show precisely why coffee might reduce heart disease risk, Stevens noted. She and her colleagues are now looking into whether coffee might contain something heart-healthy, such as caffeine or antioxidants. They also are considering whether the coffee drinking might not be the cause of the reduced risk at all — for example, people who drink more coffee might be more fit or have other heart-healthy habits, Stevens said. Dr. Vincent Bufalino, a heart association spokesman, said the study results are “interesting,” but he’s not ready to fully embrace them. “I grew up in an era where coffee was bad,” said Bufalino, president of the physician and ambulatory services for Advocate Health Care in Naperville, Ill. “It raised your blood pressure. It increased your heart rate. It caused palpitations. The red meat findings make even less sense, Bufalino added. Stevens presented these results Sunday at the American Heart Association’s annual meeting, in Anaheim, Calif. Research presented at conferences is usually considered preliminary until published in a peer-reviewed medical journal. For more on caffeine and heart health, visit the American College of Cardiology.